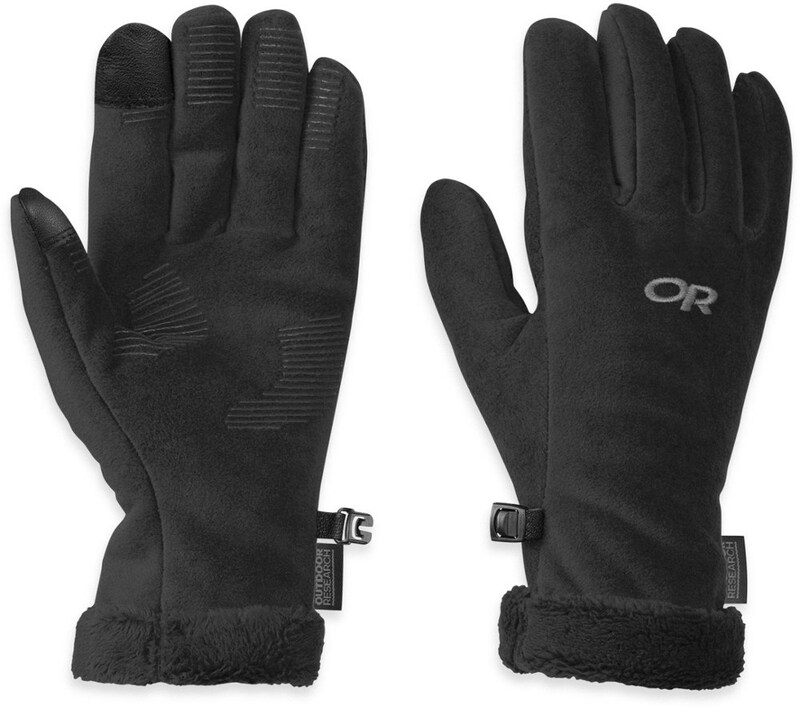 Outdoor Research Fuzzy gloves for women can be worn as liners under shell gloves (not included) or on their own for warmth on a dry winter day. CLOSEOUTS . 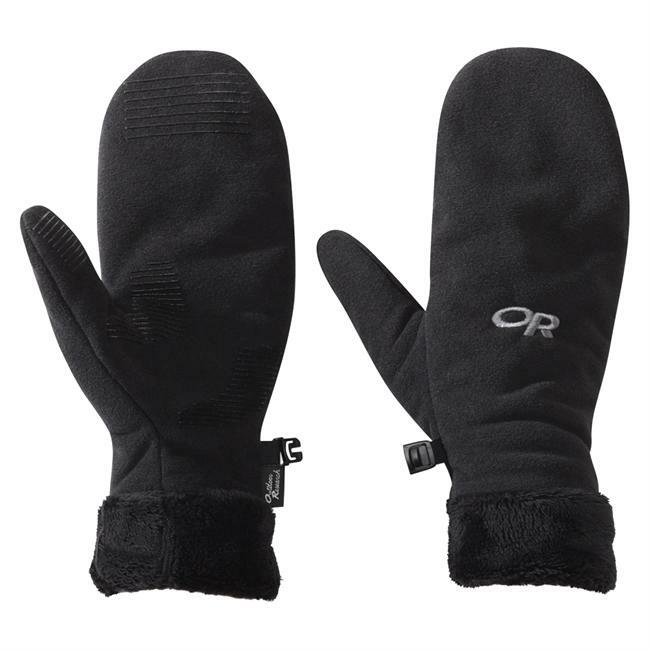 Hands stay toasty warm in Outdoor Researchand#39;s Fuzzy gloves. 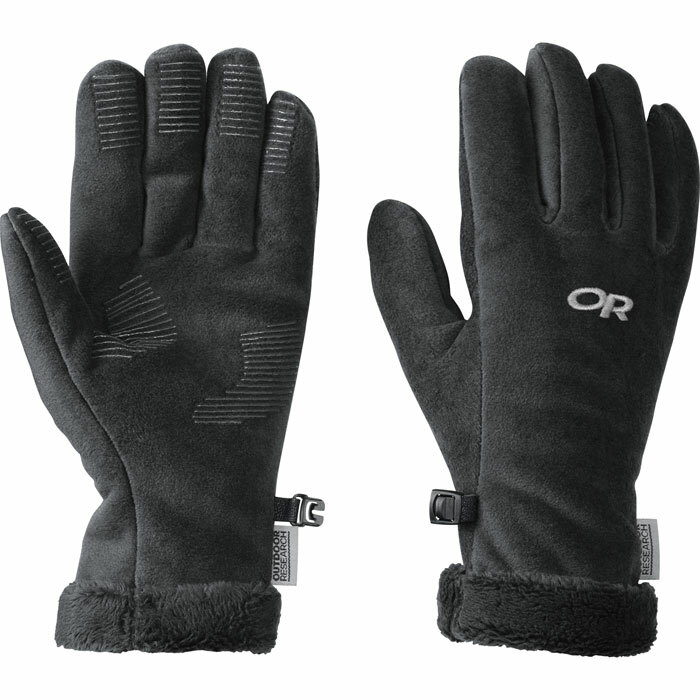 Breathable, soft-brushed fleece features a faux-fur lining for added warmth, and silicone pads on the palm and fingertips for a secure grip. The faux-fur cuff adds feminine charm. Available Colors: BLACK. 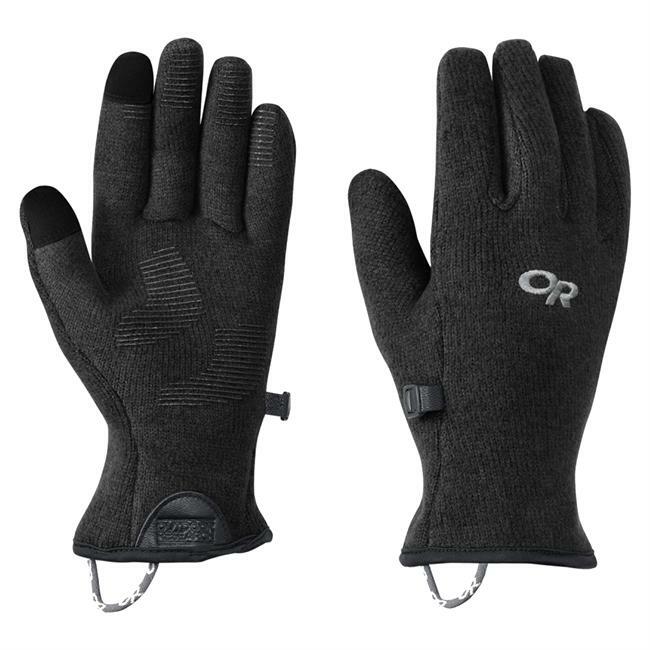 Sizes: S, M, L.
Outdoor Research created the ultimate in cozy fleece gloves with the Fuzzy Gloves. Silicon grips on the palm and fingertips let you handle phones, door knobs, and water bottles without them sliding out of your hand and a stylish folded cuff brings a bit of fashion to the table. 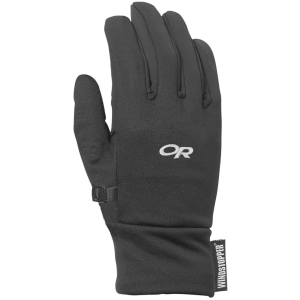 The Outdoor Research Women's Fuzzy Glove might have a name that sounds like your favorite puppet, but don't let that fool you into thinking this is a big, fluffy, bulky glove. 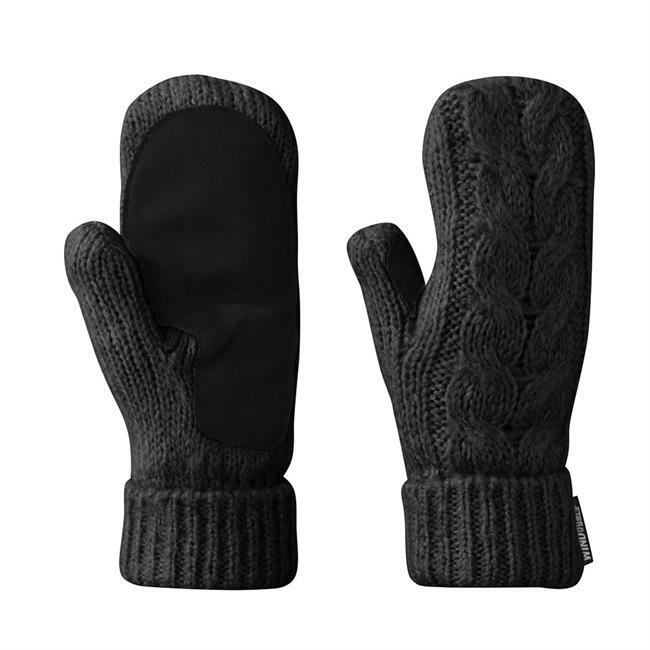 This is, in fact, a slim fleece glove. 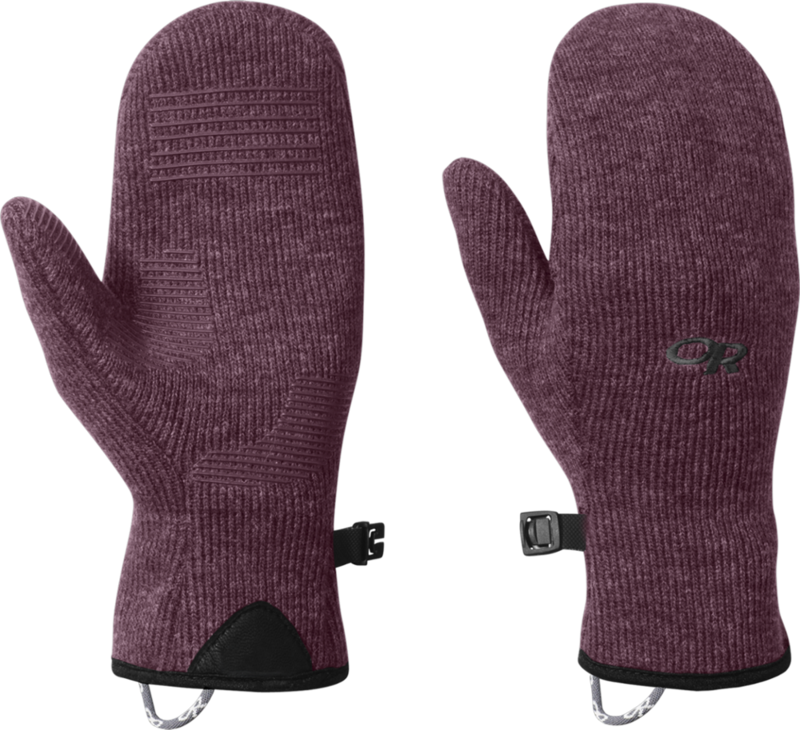 Posh pile fleece feels sweet against your skin and keeps your digits dialing even through a chilly snap. Silicon grips at the fingertips and palm give you a solid hold on your phone or the steering wheel. The folded cuff adds a bit of flair to an otherwise plain but functional fleece glove.